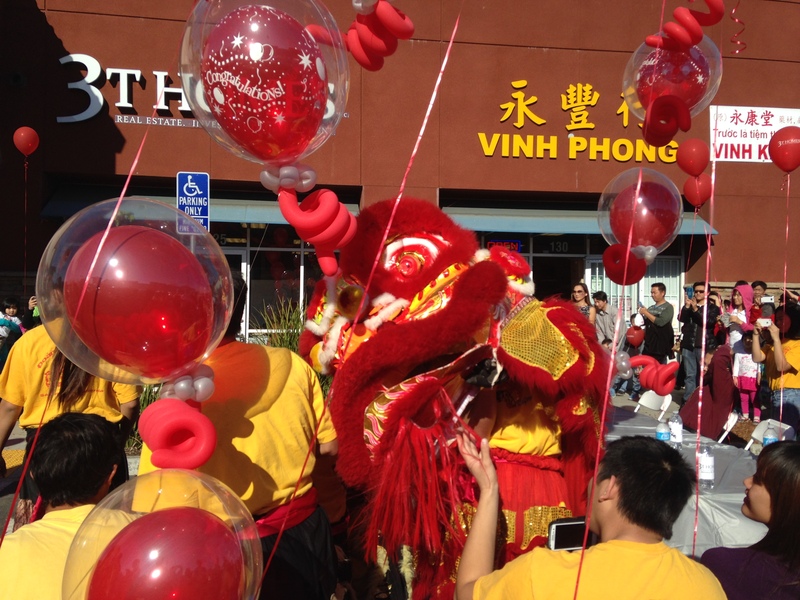 Sacramento’s Little Saigon Hosting Inaugural Lunar Flower Festival | AYAH! LUNAR NEW YEAR: WHAT IS IT? Gung Hay Fat Choy (wishing you happiness and prosperity)! If your new year’s resolution is already out the window — consider this a chance for a redo. Lunar New Year refers to the time when the new moon appears after the winter solstice. This year, it’s celebrated on Feb. 19 and 2015 is the year of the sheep. The previous birth years for this astrological animal are: 1931, 1943, 1955, 1967, 1979, 1991 and 2003. If you are a sheep or know someone who is, a sheep’s positive characteristics tend to be: calm, compassionate, artistic, elegant and generous. Negative characteristics tend to be: shy, insecure, pessimistic, nervous and moody. A sheep may grow up to be an actor or an artist. For Asian cultures that celebrate the holiday on the traditional Chinese lunar calendar (Chinese, Vietnamese, Japanese, Korean), this is a time of year for new beginnings. It’s a time for positive reflection; a time to seek clarity, and a time renew the pursuit of fortune, prosperity, happiness and health. This calls for one big, “aaahhhhhh…” (deep breath). But everything up until then is CHAOS because that’s how Asians do it. Expect your local Asian market to be hopping with aunties piling up their shopping carts and meticulously picking through every single cucumber/pepper/potato in the bin — be prepared to elbow your way in. So, be patient. Relax. It’s coming. Luckily, the Greater Sacramento Vietnamese American Chamber of Commerce (or Little Saigon) has made it easier to find the goods you’ll need. 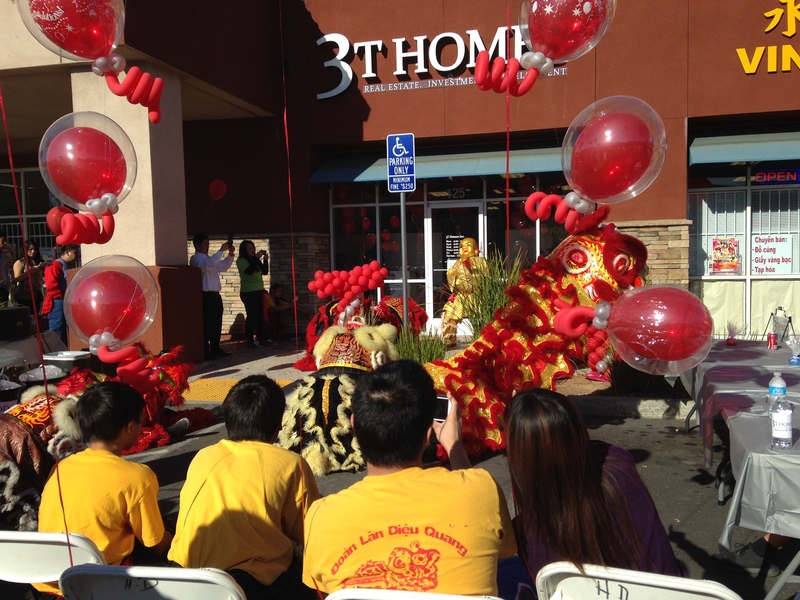 GSVACC board member, Michell Nguyen calls it a “one-stop-shop” at the first ever Lunar Flower Festival on Stockton Blvd. It’s being held the weekend before the new year, on Saturday, Feb. 14 & Sunday, Feb. 15 in the Little Saigon Plaza (6820 Stockton Blvd.) Visitors will be able to find traditional holiday fruits, flowers and gifts at the festival. The event is free and open to the public. It features a charity poker tournament, music, art and cultural displays. I actually love this time of year. It’s like the Chinese version of Christmas, basically. But instead of gifts, we make it rain red envelopes, or lucky money. At parades, you’ll often see dragon dancers. And at parties, you’ll hear fire crackers going off. Each of these traditions has a special meaning. Red envelopes are given to young or unmarried children by elders. It signifies good luck and fortune for the new year. When you receive red envelopes, you say: “doh jeh” in Cantonese or “xie xie” in Mandarin. In Chinese culture, dragon or lion dancers symbolize protectors who scare away demons and bring in prosperity. Fire crackers are set off to ward away evil spirits. They also symbolize protection, energy and new beginnings. Do: wear red. It’s considered the most auspicious of colors. It symbolizes good luck because red is associated with fire, sun, life and energy. Do: wear jade jewelry to manifest good luck. Do: decorate with fresh flowers. They represent good fortune, prosperity, longevity and purity. Popular varieties include: peony, orchid, narcissus, chrysanthemum. Don’t: shampoo your hair on New Year’s Day, or good luck will be washed away. Don’t: sweep the floors on New Year’s Day, or good luck will be swept away. Don’t: dress in all black or all white. They are considered funeral colors and bring bad luck. If you’ve ever been to a Lunar New Year party, then you know that the food is amazing. You get to eat dishes and treats you only see once a year. There’s always an abundance of fruits and sweets to choose from: SUGAR OVERLOAD! And other foods all symbolize different meanings: candies for a sweet life, peanuts for a long life, walnuts for peace, glutinous rice cake (like Chinese fruitcake) for promotion, oranges for prosperity. I’m lucky that I have a huge family to celebrate with and they always go BIG. On the menu this year, a 9-12 course meal featuring: Foo Juk (dried bean curd soup), Chinese chicken salad, roasted pork, deboned chicken stuffed with glutinous rice, slow-simmered black mushrooms, beef oxtail stew with root vegetables, stir-fryed shrimp in red ketchup sauce, noodles with egg pancake strips, and roast duck. WHOA! Big shout out to MamaLana Chong and the Fong clan for pulling this one together. The holiday really focuses on bringing the people you love most together, to feast and celebrate. Even though it can frustrating and stressful to organize, when the day finally arrives, you forget all the trouble you went to in preparing for it and just enjoy the moment. It’s like any heathy, dysfunctional American family Christmas. For ours, the customs are just a little different. Every year, we’re reaching back to our cultural traditions and passing it on to the next generation. See ya’ll at the dinner table! ← Sacramento Got Some Asian Flava, OK?! ?